Flexible, accurate biometric workforce management solution for employee profile management and reporting. 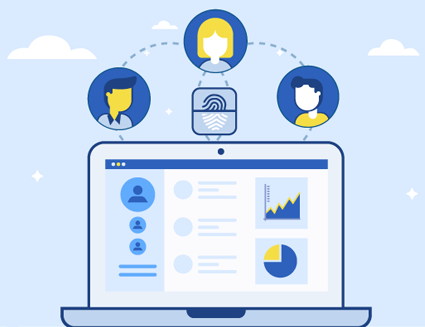 LaborTrack™ is a fully customizable and end-to-end, cloud-based biometric workforce management solution for organizational workforce management to accurately identify employees. Within industries that have high employee turnover rates, organizations often face difficulties in managing cross-departmental employees. In addition, enterprises that recruit new employees have a responsibility to ensure they are held accountable, maximize productivity, and can be quickly and accurately identified. Establishing accurate employee identification also helps to reduce payroll inflation and error rates and ensure compliance with labor tracking laws. In the absence of a central database, it is impossible to instantly retrieve accurate data on the number of skilled, semi-skilled, and unskilled workers employed in the industry. It can be difficult to access even basic demographic stats, such as how many female workers are there in the industry.